Well, I am bored and exasperated with telling people who have their ears blocked as well as their intestines, that they need to take enemas to hasten their recovery from cancer. Now I know how frustrated Walter Last, and other healers attempting to cure people of their cancers and other diseases, feel when people ignore their best advice. All over the world, cancer sufferers following a ‘natural’ approach to healing are pouring down all that carrot juice, along with their supplements like mega Vitamin C, Garlic, and Pau d’Arco or whatever, expecting to make a full recovery on diet and supplements alone. Sometimes people do get better using just treatments such as these, but usually they do not make a complete recovery. Time and time again, people have come to me to ask what to do to reverse their cancer. I give them a well-tried formula which includes enemas, then they go away and do just about everything else EXCEPT for enemas. Just as I did, when Walter Last instructed me to use enemas with my recovery diet all those years ago. 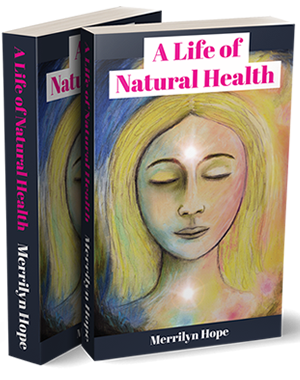 I went away and seemed to make a remarkable recovery on his diet, without the enema, until, suddenly, all those toxins being expelled so quickly by the liver began to be reabsorbed into my blood-stream. I could have died, especially with all that 2,4,5,T, Dieldrin, and goodness knows what in my system. Fortunately for me, when I returned in great distress to see Walter, he berated me and said I was never to see him again for treatment if I was not going to follow his advice. I left his clinic extremely embarrased, with the enema he had made me buy. Just as he said, the painful symptoms of detoxification disappeared as soon as the intestines were washed out with water using the enema. So I have first-hand experience on how instructions for that part of the treatment generally fall on deaf ears. Because people have an extreme aversion to the idea of putting water up the bum, they decide they will not do it, whilst pretending at first to go along with it. Or they might prefer to argue the point: “And can you prove this, that enemas are beneficial? Where is your evidence?”. they might ask. Well, it is not rocket-science. Facilitating the quick expelling of toxins from the liver and bowel has to be beneficial in treating diseases such as cancer, where toxins have built up to an extreme. Even bowel diseases such as diverticulitis will benefit hugely from using the enema, because the water expands the intestines out so that those mis-shapen pockets we call diverticulitis can be encouraged to expel their rubbish, which allows a reshaping and rebuilding of a healthy bowel again. And time and time again, I have seen the cancer people who fail to use enemas whilst doing an all-natural recovery programme, fail to recover completely. They get better for a while, then suddenly go down-hill quickly. This is what Dr Max Gerson found in treating his cancer patients. At first, on his mainly raw-food programme, and castor oil every second day, his patients seemed to show an immediate improvement. But then, after two weeks or so, they suddenly would become extremely, seriously ill, even worse than when they first began the detoxification process. And they often died at this point. He figured it was because the toxins being released from the bowel were not getting away quickly enough. His patients, he decided, were dying because of auto-intoxication, from the rapid release of toxins from the liver which get reabsorbed as they travel through the intestines. I have known quite a few people in my life who have listened to my advice about the natural-cure for cancer. There are, of course, many different methods, but I have found the Gerson idea of using castor oil every second day, 2 tablespoons per dose, with daily enemas and a cleansing diet, to be the most effective way of treating cancer and other diseases. On Waiheke Island years ago, there was a spate of breast cancers. Interestingly enough, I had gone to Waiheke a few years earlier to cure a breast lump which I was afraid was cancer. After three months of the castor oil, enemas and raw food treatment, except for one bowl of oatmeal porridge each morning, taken with a grated raw apple, I was better. Suddenly, all at once, there were half a dozen women whom I knew who had breast cancer on Waiheke. They all went for orthodox treatment, except for one. They all died within a year or so, except for the one person who decided to do the ‘natural-cure’. However, my one friend who did the natural thing decided she would not use castor oil or enemas. She upped her intake of salads and carrot juices, and all the other good foods, but she refused to take an enema to wash out her bowel. She lived for five years in a nursing home, and then she died. I am quite sure that if she had done the suggested recovery programme to the letter, and used castor oil and enemas, then she would have gotten better within the year and would not have had to stay in the nursing home. And she would have bee alive as you or me today. 1) The type which is formed from too much oxalic acid in the urine is the most common type. According to Dr Wagner and Sylvia Goldfarb who wrote this book, oxalic acid is found in silver beet, spinach, chard, kale, rhubarb, tea, nuts, and dairy products. Lack of Vitamin B 6 can cause the body to build up oxalic acid. 2) Stones can be formed from uric acid. 3) Stones can be formed from excess cystine: This type of stone can form if the diet is too high in protein, usually too much flesh protein such as beef pork and mutton. See Your Doctor Or Health Professional: Pain in the lower back can be a symptom of kidney stones. This can be very painful, and even dangerous, if a kidney stone blocks the ureter on its way to the bladder. Dr Wagner says that a kidney stone can take from 15 minutes to 6 weeks to pass through the system, providing it does not block the filtration mechanism. A large stone which may take a few weeks to pass through might cause kidney and bladder infections. You must see a doctor if you are having back pain. Obviously, the best thing is prevention rather than wait for an emergency. Prevention could keep you out of the doctor’s office. The main cause of kidney stones is insufficient magnesium in the diet. Magnesium helps to process calcium in the body, so that the calcium in your food can be utilized properly. Insufficient magnesium means that you have too much unprocessed calcium in the body. Some of this unprocessed calcium gets excreted by the kidneys, which do not always efficiently dispose this calcium, and this leads to a build up in the kidneys. This build up causes kidney stones. Magnesium is found in green leafy vegetables: Silver beet and spinach actually have a high magnesium content, but because of the high oxalic acid in these vegetables, it is best to include greens such as broccoli, cabbage, brussels sprouts, green beans, lettuce and mung bean sprouts in the meal. Small amounts of silver beet and spinach are ok in my opinion, as long as plenty of other greens, especially a large salad with lettuce and mung beans, is eaten at the meal. Also, taking extra calcium foods like sesame seeds, sunflower seeds, or dairy products if you can digest these, helps prevent oxalic acid from depleting the body of calcium. Keep the diet alkaline: Try to have two or three of these green vegetables with the daily cooked meal. Cooked green vegetables and raw salads provide you with plenty of magnesium to process the calcium in the body. Green vegetables and salad stuff like mung bean sprouts and lettuce, keep the body alkaline. Make a large salad at least once a day using mung bean sprouts. Add to your mung bean salad two or three of any of the following: lettuce, grated carrot, grated beetroot, spring onion, avocado, chopped celery, or a little chopped spinach. These are all alkaline foods which provide good fiber for the intestines. Adequate Protein in the Diet: Too much protein is no good, but insufficient protein can cause kidney stones also. Albumin is needed in the body, but excess amounts are created in the body when the diet is poor in protein, and this causes calcium build up in the kidneys. Vitamin D is necessary to process calcium properly. Not enough Vitamin D means that your body is likely to be deficient in calcium absorption, and this leads to weak bones and teeth, apart from the formation of kidney stones. Vitamin D helps prevention of kidney stones because of its effect on calcium, however, Dr Wagner warns against megadoses of Vitamin D, as this can also cause calcium build up in the kidneys. The type of kidney stones which are formed by a build up of cystine is usually a hereditary condition where protein is not digested properly. Avoid Antacids: Dr Wagner advises against the use of antacids, especially when you get older. Antacids mean that you are getting extra calcium carbonate which is difficult to absorb. Antacids can cause kidney stones. Many other medications can cause kidney stones. I feel that warfarin should be studied properly in this regard – I have a friend who has been taking warfarin since his mid 30’s – he has recently had his gall bladder removed because it had cancer, and is currently undergoing surgery for removal of part of his liver. He has been taking warfarin for 30 odd years. Walter Last on Wheat Bread: Avoid Wheat. The diet of Walter’s which I followed many years ago did not allow wheat at all, and in fact, did not allow yeast foods either. Wheat substitutes such as rice and rice flour, besan flour, or chick pea flour, corn meal, arrowroot, tapioca flour, potato flour, soy flour, are all gluten free, and these really are better than wheat for the health and for regenerating the body. They are more nutritious and do not have that problematic gluten. Not Too Much Milk: Walter Last advised against using milk at all, and his is the diet which I prefer for treating serious disease and for regenerating the health of the organs. Dr Wagner also is wary of milk, and advises that milk should not be over-used. One reason that he gives is that milk is fortified with Vitamin D: While you need some Vitamin D for good health and to prevent kidney stones forming, too much Vitamin D can also cause the formation of kidney stones, because it causes too much calcium to enter the system. If this is not needed in the body, then the kidneys will have to deal with it. He says that the Vitamin D added to milk is a synthetic form, which causes other problems. Also, milk is high in phosphorous, and this is not helpful to the absorption of calcium anyway: This was part of Walter Last’s reasoning for not using milk, but also that milk is mucous forming. Mucous forming foods are best avoided if one wishes to avoid kidney and gall bladder stones from forming. Walter also said that pasteurized milk is no good for the digestion, as it is not easily digested once it has been heated. And milk in tea, he said, was the worst thing out for the health, because the tannin in the tea renders the protein in the milk indigestible. This undigested protein causes problems in the intestines, with build up of toxins. Tea is best drunk black if it is to be imbibed. Avoid Sugar and Yeast Foods: This was recommended generally by Walter Last. Along with wheat, these foods are best left out of the diet whilst you are healing yourself of any serious disease. It makes sense then, to avoid them if you are trying to prevent disease such as kidney stones. Eat these foods only in moderation to help prevent kidney stones. Foods To Help Prevent Kidney Stones: Dr Wagner recommends asparagus, bananas, parsley, watercress, garlic, celery, cucumber, papaya, or paw paw, and horseradish as being the best foods for preventing kidney stones. He states that these particular foods are especially good for getting the liver function working optimally. Mung Bean Sprouts: I think mung bean sprouts in salads are especially good for the liver also. Eating large salads made up of mung bean sprouts, with other raw vegetables, helps liver function and provides your body with easily digested protein food which is rich in digestive enzymes. Cranberry Juice For Kidneys: He recommends drinking cranberry juice, as this has an antiseptic effect on the kidneys and intestines. Pears are also good, as these can help relieve inflammatory conditions such as nephritis. Watermelon is also a good kidney and bladder medicine which aids the general health. Drink Plenty of Water: Dr Wagner recommends that at least two quarts of distilled water are drunk each day. The urine should be clear and pale, and not yellow or brown. Note: You need professional advice before taking any of these. This list with its dosages is adapted from Dr Wagner’s ‘How To Stay Out of the Doctor’s Office’ and is meant for information only. Walter Last’s famous treatment for disease did not specify many vitamins and minerals – he believes in getting your nutrients from your food, with juices taken, such as beetroot, carrot, celery and apple. The emphasis is on raw food in Walter’s diet, such as mung beans and alfalfa sprouts. He also used calf liver broth, taken in sips with carrot juice, for very debilitated people, or for people who had a life threatening illness. This provides Vitamin B6 and B12, iron, and digestive enzymes. If your diet is mainly vegetarian, then calf liver broth is a good idea as a nutritional supplement. Vitamin B6 acts as a mild diuretic which is beneficial for the kidneys. 100Mg taken 3 times a day. B6 is assimilated better with the help of Magnesium citrate 400mg twic a day, and Vitamin B2, 100mg also taken twice a day. Beta carotene helps prevent kidney stones from forming. 25,000 IU per day – this could be taken naturally in a couple of large glasses of organic carrot juice instead of taking a supplement. Fish oil also helps prevent stones from forming – 25,000 IU per day. This also could be taken through eating a portion of fish each day. Dr Wagner suggests that the bones in sardines might cause kidney stones, but I have found, as Walter Last recommended, that eating a can of sardines several times a week does not cause kidney stones to form if the diet is rich in alkaline greens and raw foods such as mung beans, lettuce, celery and carrots. Dr Wagner recommends that phosphorous be taken daily, as per the instructions on the label- this helps prevent kidney stones from forming. Vitamin C, 1000mg taken three times a day is helpful. I know that some people have dissolved small kidney stones through taking this much Vitamin C on a daily basis. It has also been used in various cancer treatments to good effect. The best type is non-acidic Vitamin C, calcium ascorbate. This keeps the body alkaline and prevents acidity of any kind. Lecithin can be taken daily. This helps the gall bladder process fats and helps the health of the kidneys. 1200 mg can be taken 6 times a day. Walter Last uses lecithin as a food supplement in his recovery programmes. Lecithin helps the liver and the general health. Vitamin E is a useful vitamin which can help clear up kidney problems. 400 IU of Vitamin E daily is recommended by Dr Wagner. Vitamin E can be found in good quality vegetable oils such as olive oil, peanut oil, grape seed oil, avocado, nuts and seeds. Zinc is recommended – 30 mg twice a day of Zinc picolinate. Onions and garlic, leeks and chives, are all quite high in zinc. The fasting free cleansing diet which is first on the list here is actually very easy to do. You don’t starve. You can detox while you enjoy your food just the same. You will find that it is quite fun to do. It is just a matter of getting organized and getting in the necessary foods which are going to sustain you over this two week period of cleansing. Cancer Prevention: Cleansing diets are important to keep good health. Cancer does not develop in a body which is kept clean of waste. Accumulated waste is the main factor in people getting degenerative disease like cancer, arthritis, multiple sclerosis and parkinson’s disease. If you are unlucky enough to have been exposed to large amounts of toxic herbicides and pesticides and industrial chemicals, then you will have a harder job to eliminate the accumulated poisons, and cancer and other disease will be harder to cure through elimination processes. But it can be done. And should be done. In a fairly normal healthy body, it is good to fast occasionally to give the liver a rest and let it, , and the kidneys, expel the poisons from the body. This happens best when no food is taken, but there are various diets which work just as well, though they take longer to have a thorough cleansing effect. If you are deficient in vitamins and minerals, a complete fast is not recommended – a juice diet or one of the modified diets is best to follow in this case. This is the idea in Dr Max Gerson’s cancer-recovery diet, which focussed on elimination but with massive amounts of nutrients given in the way of fresh fruit and vegetable juices. Don’t forget that enema which Max Gerson and Walter Last and other healers have emphasized is essential to eliminate those poisons quickly – imperative if you have a life-threatening disease like cancer. Follow this for two weeks. It is important during this period of cleansing that you have no bread, butter, eggs, meat, chicken or fish. The only cheese which is allowed is preservative-free cottage cheese which is available from all good health food stores. Milk is allowed, but if you have an allergy to cow’s milk, then use goat’s milk or goat’s milk yoghurt if that agrees with you. There is an alternative of a cup of pea soup which can be used instead of using dairy milk. A large glass of freshly juiced fruit juice or carrot or celery juice. Or a plate of sweet fruits such as banana, dates, grapes, figs, prunes, melon, paw paw, apple, peaches, nectarines – in any combination. A few nuts or almonds, and a glass of goat’s milk. This can be taken with either of number one or two of this list. A lightly cooked boiled egg on its own without bread. This breakfast is a nutritive one which is good for cleansing. It is also a good maintenance diet for those who wich to lose weight. Plenty of enzymes are supplied in the juices and sweet fruits which are rich in vitamins and minerals. Good amounts of protein are supplied in this diet, which nourish the tissues and rebuild them without building fat. Wheat-breads and buns are the thing which cause fat to build up, in my experience. Do without wheat products and processed sugar, and you are half way there. A salad of carrots, celery, cabbage, raisins with olive oil dressing. Two or three lightly cooked vegetables such as broccoli, brussels sprouts, kale, string beans, beetroot, asparagus, carrots. Keep potatoes out for the meantime. Make sure that the quantity of salad material is more than the cooked food. Salad of vegetables or soaked dates, prunes, raisins with fresh sweet fruits like mango or paw paw and bananas. Simple plain olive oil dressing can be added. Glass of goat’s milk or yoghurt or cottage cheese. You can have this with the salad in number one. Two mashed bananas for desert, or a plate of sliced fresh peaches or grapes. If goat’s milk or dairy milk is no good for you, then have one cup of pea soup: Make this in advance, as it takes a while to cook. You can leave it in the fridge so that you have it available at mealtimes for a few days. Remember that this diet is best if you stick to it for two weeks. So prepare yourself in advance. It is a good idea with this diet to take a herbal laxative last thing at night and first thing in the morning. Do not use anything other than a herbal laxative. One tablespoon of castor oil could be taken EVERY THIRD DAY instead of taking a herbal laxative every morning and evening. Chemical laxatives are very damaging in the long run, so avoid these. This diet is a really good cleanser. It is one which most people can do. You don’t deprive yourself of the experience of eating food with this diet – it is very good for people who cannot sustain juice fasts. The results are just about as good as a juice fast, but it takes a little longer to work because its action is more mild. Two weeks is the recommended time to continue this diet, but even one week will do much to clear the system of toxins, dissolve mucous build-up, and help to dissolve gall stones. You can alternate it with the above modified diet if you wish – one week on the above modified diet, and one week on the olive oil regime. 1/2 cup of cold pressed olive oil or cold pressed soya oil mixed with 1/2 cup of fresh lemon juice. If you don’t have lemons, then grapefruit juice can be used instead, or 2 tablespoons of apple cider vinegar mixed with one tablespoon of water. Swallow down the mixture of olive oil and lemon juice, or the alternatives above. Eat nothing at all until lunchtime. Avoid all tea and coffee. But herb teas can be drunk freely during the course of the morning to wash away old bile. They help to negate poisons. Mint and peppermint are especially good for this. Chamomile tea is another good one. These herbal teas benefit the liver and gall bladder and aid the elimination process. Eat a large salad with olive oil or some other good quality cold pressed oil on it. If you are still hungry then eat more salad, or some fresh fruit such as banana, an apple, or some dates. Eat another large salad with an avocado in it. Use a variety of vegetables to get a range of nutrients. Grated beetroot, grated carrot, kale, spinach, lettuce, chopped chives, parsley, avocado. If you do not use avocado, you can have one baked potato with the salad. That’s it. This diet can be done at any time, and for as long as you feel like following it. Dr Jarvis recommends the olive oil and lemon juice treatment in his book “Folk Medicine’. He recommends it for gall stones and for preventing the formation of gall stones.He stipulates that the olive oil and lemon juice must be taken first thing in the morning on an empty stomach. This is because the treatment is not effective in removing toxins or in dissolving gall stones if there is food present. Food will dilute the effect of the olive oil cleanse. Also be careful not to use meats, cooked eggs, bread, cheese of milk while on this diet. The smallest amount of these things will spoil the efficacy of it. Food yeast may be used if you are doing the diet for a few weeks. Food yeast will provide you with B Vitamins and prevent a deficiency of B Vitamins occurring. Walter Last believed in two raw egg yolks being taken a day, and I find that this is very beneficial. Raw egg yolk is easy to digest and it does not impair the cleansing effect of diets such as this. Raw egg yolk contains many nutrients, including protein, fats, lecithin, vitamins and minerals including iron. It is a great food for building up the body’s vitality. The egg yolk must be taken without the white, and it must be uncooked. It can be added to an olive oil dressing to make aioli, or it can be mixed with fruit juice. What Is Castor Oil Used For? The Castor oil Plant, ‘Palma Christi’. The Castor Oil Plant has been known for centuries as the ‘Palma Christi’, the Palm of Christ. This gives an indication of just how highly the plant has been regarded over many centuries. Its botanical names are: Ricinus communis L., and it belongs to the Spurge Family, a Euphorbiaceae. It is native to India and parts of the Mediterranean, but now grows in many parts of the world. Castor Oil plant, the Palma Christi, has a long history: The seeds of the plant have been found in some ancient Egyptian tombs which date back 4000 years, according to the Reader’s Digest herbal. Dioscorides and Pliny in their writings which are almost 2000 years old, both mention the therapeutic aspects of the castor oil plant as a purgative oil and laxative. The Castor Oil Plant grows in Australia and New Zealand as a free-range weed. You can find it in many overgrown gardens and along the banks of railway lines. These days, though, it is becoming harder to find, because councils, farmers and householders often use dire methods of weed eradication which are eliminating many varieties of plants from our botanical lists. Big weed-cutters are used along banks to eradicate weeds, and herbicides are used by many people: these practices are causing many medicinal ‘weeds’ to become scarce. Castor Oil is pressed out from the seeds of the plant. The oil is not poisonous, but the seeds and leaves of the plant are poisonous. So you must never use castor oil leaf or seeds to make your own remedies for internal use. The leaves, however, can be used externally in poultices which can be laid on the body. Castor oil, which you can buy in most supermarkets, health shops and chemist shops or drug stores, comes from Brazil, India, and other places where it is farmed commercially. In Medicines: Castor oil is a valuable vegetable agent which is used in ayurvedic medicine, some orthodox medicines, and cosmetics, especially lip-sticks and eye-cosmetics. For Intestines: It is famous for its laxative effect and as a remedy for constipation.It cleanses the intestines of old debris. Liver and Gall Bladder: It benefits the liver and gall bladder. Castor oil removes toxins from the liver, helps eliminate stale bile, and helps to dissolve gall stones. Eyes: Castor oil benefits the eyes, and so castor oil is found in some eye medications. Castor oil is used in Ayurvedic medicine as a treatment for some eye diseases, such as cataract if it is caught in the early stages. Castor Oil benefits hair growth when applied externally, and taken internally on a regular basis, such as in the Gerson Cancer Therapy. Castor Oil can be applied once a week to thinning hair, or to baby’s scalp to encourage hair growth. Leave it on for several hours, or overnight, then wash out with good quality natural soap. Ricinoleic acid is the active ingredient of castor oil. Ricinoleic acid is the purgative agent. This is used in some contraceptive jellies, creams and foams. Castor oil, because of its ricinoleic acid content, is also used in industry to make things like nylon and linoleum. In Africa and parts of Europe, castor oil leaves have been used as an external application on the breasts to increase lactation. Castor Oil is a valuable healing oil, both externally and internally. It has been used by many alternative cancer therapists, such as Dr Max Gerson, Walter Last and Dr Ann Wigmore. 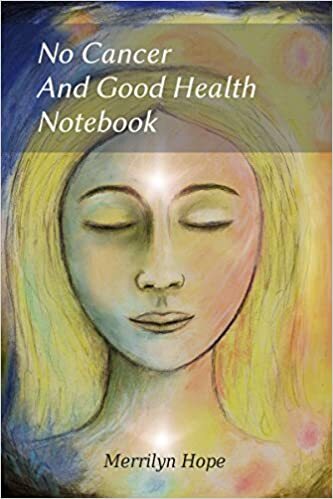 Jacqui Davison wrote a book on how she recovered from cancer using castor oil therapy, which she learned about from the writings of Dr Gerson. Gerson Castor oil Treatment For Cancer: This therapy can be used to treat many degenerative diseases, not just cancer. Dr Gerson devised a treatment which included the use of castor oil. The dose of castor oil was 2 tablespoonsful every second day. Castor oil is a powerful detoxifier, which makes it a very good medicine for cancer patients. It cleans out the liver, gall bladder, and intestines. It has the ability to draw out poisons from other parts of the body, including the site of tumours. However, to do this treatment, you need professional advice and much preparation and determination. The Gerson Castor Oil Therapy is very hard work, but it has saved the lives of many people. Castor oil is an integral part of the treatment which Dr Gerson used. Other essential aspects of the regime were: daily enemas; porridge for breakfast, eaten with one raw, grated apple; High Vitamin C intake: fresh vegetable and fruit juices every hour; salads at every meal. Extra Vitamin C was given, and vitamin C was also combined with 2 aspirin for a ‘natural’ pain relief. Author MerrilynPosted on October 1, 2010 May 26, 2015 Categories HealthTags constipation, dissolve gall stones, Gerson Cancer Therapy, hair growth, increase lactation, laxative effect, memory loss, vitamin c, walter last2 Comments on What Is Castor Oil Used For? This method for cleaning out the gall bladder and flushing away stones is taken from the book which is written by Dr Edward Wagner and Sylvia Goldfarb. This is an Australian book, published, I think, by the National Library of Australia, in the 1980’s. Note: The authors state that ‘The information in this book is not intended as a substitute for consulting your physician. All matters regarding your health require medical supervision’. This book is called ‘How To Stay Out of The Doctor’s Office’: ‘An Encyclopedia For Alternative Healing’. Castor Oil Packs: These are the old stand-by, popular with many healers such as Max Gerson, Walter Last, Edgar Cayce, and many others, including Dr Wagner. Dr Wagner’s method for using castor oil packs is to soak white flannel in castor oil, wring out and apply to the liver/gall bladder area. Cover with a piece of plastic in the usual way. I think a warm hot-water bottle is best applied to the castor oil pack. Dr Wagner recommends that you leave the pack on for one hour, and that you repeat the castor oil pack treatment twice a day. Of course, it is best to lie down with the warmth of the hot-water bottle over the pack for this therapy to be truly effective. Castor oil has the effect of loosening and breaking up stones so that they can be eliminated more easily. I think the castor oil packs for gall stones are best done for a three day period. Walter last recommended ‘three days on and three days off’ when using castor oil packs. Dr Wagner recommends that nothing be eaten after lunch. So – fast from lunch-time onward. Don’t eat tea. At 7 o’clock in the evening, take 4 tablespoons of olive oil followed immediately with the juice of a lemon – about 2 tablespoons of fresh lemon juice. Repeat the same dose every 15 minutes, taking 4 tablespoons of olive oil followed by the juice of one lemon. Take the last dose at 8.45 pm. Dr Wagner recommends that you go to bed at 10 pm and lie on the right side. The gall stones should be eliminated in the morning with the first bowel movement. Dr Wagner believes that getting the gall bladder taken out is NOT the answer to gall stones. Gall stones do not develop because the gall bladder is sick – Gall stones develop because of liver dysfunction. So getting the gall bladder taken out does not address the problem of having a malfunctioning liver. The liver needs to be nurtured and healed with appropriate diet and cleansing to avoid gall stones forming. Parsley, Dandelion Root Coffee, Dandelion Greens, all help the liver. Lecithin helps the liver to process fats: lecithin which is derived from soy beans can be helpful in restoring liver function. Cascara sagrada will help eliminate gall stones from the gall bladder. Castor Oil taken internally also helps to break down gall stones and eliminate them, however, you would not combine this with the olive oil and lemon juice treatment. You would use one or the other. Using castor oil packs, though is ok in combination with the olive oil and lemon juice therapy. Avoid Sugar, Dairy products, and Wheat products. Avoid fried foods. Get the bowels functioning more efficiently. Eat more alkaline greens and more raw salads. Always eat something raw with every meal. Use a colonic or an enema at least once a week, and more often if the problem persists.